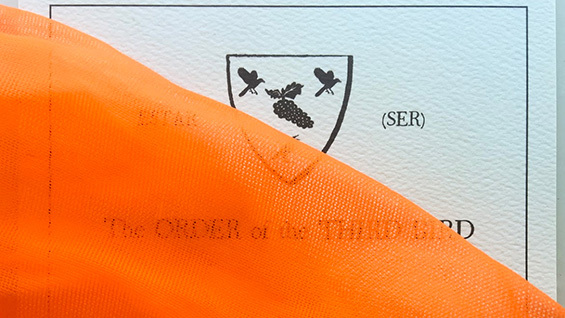 Indiscreet associates of The Order of the Third Bird invite you to join them in an action of practical aesthesis: a collective and formal manner of giving sustained attention to Things Made to Be Looked At (in particular, to works of art). What to expect? In accordance with the Order's motto, In Practice, Practice, few details are typically circulated in advance of such a convening. As The Order of the Third Bird is a circumspect, and even elusive body, little can be said directly of its doings. Nevertheless, this much can be offered: a small number of uninhibited (indeed, even heretical) individuals, having some knowledge of The Order’s protocols and rites, here propose to break with strict tradition and share, perhaps promiscuously, what they have learned. If experience be a guide, the occasion will combine silent and serious contemplation with playful conviviality. Temporary metempsychosis may occur but must not become permanent.